I was signed up for Wasabi Con as well but at the last minute I had to cancel to travel to Canada for work… ugh!!! Usually I try and aim for more conventions in a year but my work and PhD research gets in the way most of the time. The good news is that I am set to defend in June of 2017 giving me plenty of time afterwards to travel and attend some more conventions! All and all the cosplay roundup for 2016 was a success. My Eternal Sailor Saturn cosplay won “Best Anime” at Ancient City Con and my Dark Magician Girl won “Judges Award” at Anime Festival Orlando. According to cosplay rules if you won a major award (such as best anime or best in show) you can no longer enter this cosplay into anymore competitions. It’s only fair. Therefore, Eternal Sailor Saturn will be retired from future contests but will still be worn from time to time, especially if anyone needs a Sailor Saturn for their Sailor Scout Group. Yea, for some reason I am still on this Sailor Moon Cosplay streak, but this may be my final year doing Sailor Moon cosplays for a while. I like to think I am still celebrating the 20th anniversary of the anime. 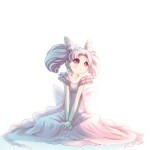 However, I noticed that many people do not cosplay Chibiusa. 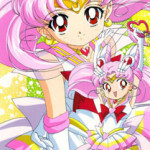 Many Sailor Moon fans even say that she is their least favorite Sailor Scout even. In a way I can see why, but deep down I think she is one of the strongest Sailor Senshi. In addition to being the youngest she is constantly putting herself in harms way just to help her friends and her family in the future. I like to think that when she takes over and becomes the new “Queen” after Sailor Moon passes away, that she will be an even better ruler than her mother. And we all have to admit, the king will be Helios. I think they make a very cute couple. This will be the first cosplay that I will start to work on, and I could be starting it as early as December. 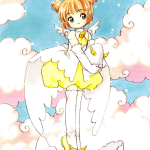 I am not worried about the senshi outfit (I say this now…. ), I am worried about that hair. I can see why people would not cosplay her based on her hair. OMG, this hair… So the wig is ordered along with tons of pink extensions. This will be the hardest part in my opinion and I can see all of my money being wasted on hairspray and glue (bashing head). 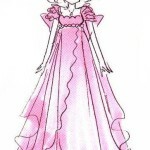 I have wanted to do this cosplay for the longest time, particularly her manga princess dress. 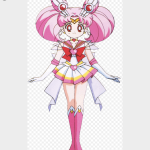 In the anime she wears the same dress as Sailor Moon, which is ok, but this one just suits her better in my opinion and I can do a ton of detail to it to really make it beautiful. Each year, I focus more on one cosplay and make it stand out more than the other ones I create. Last year it was Eternal Sailor Saturn with all of the beading, gem work, and the light up Glaive. Princess Chibiusa will be like this for 2017. I haven’t sewn a long dress for a while, and the endless amounts of layers on this dress could take me a while (im concerned the more layers, the fatter I will look). In addition, I vowed after my Rosalina cosplay that I would never do a long dress again. It’s not that I don’t like long dresses, I just hate everyone around me that keeps stepping on my dress. Plus, I can be an idiot and trip over my own dress when walking sometimes. Here is the big surprise for this cosplay and why it will be the “main attraction” this year: wings! So already I hate going to conventions in long dresses. Now, not only do I hate that but I want to add giant wings to make it impossible to walk anywhere… plus that huge wig? Yea, I am insane. So yes, this will be the big cosplay of 2017 and will take most of my time. Still trying to toss around ideas in my head on how to construct the wings. Ugh! Feel free to give my suggestions! This needs to be done. 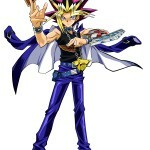 In addition to me being a huge Yu-Gi-Oh! 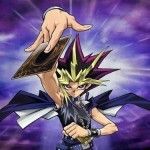 fan and the continuation of celebrating the 20th anniversary (so many anniversaries), Yami Yugi needs to be done… again. One of my first cosplays was Yami Yugi and this was back in the day before we had any wig tutorials for this guy online. Well now after years of wig and cosplay experience I am ready to redo this cosplay and make it perfect this time (looks at the wig and cries). I’m starting to see a pattern for 2017: wigs are insane this coming year. I don’t think I will make all of his outfit. The pants for example I can probably find somewhere as well as the shirt. I have the jacket from my previous cosplay but it needs to be darker. I might experiment with dying this piece. Greatest concern though… the wig, and all the money that will be spent getting all the materials for the wig. This is a big maybe and depends on how much time I have towards the end of preparation season (usually around the end of April). I love this version of Sakura, I have always had a fetish with penguin tail coats. I think they look awesome! 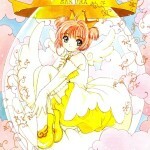 Card Captor Sakura is also going to be celebrating its 20th anniversary this coming year (what a surprise… another 20th anniversary). Also, we have been getting word that the series will be receiving a new anime soon! I really want to celebrate this milestone with this cosplay but it really depends on how much time I have. The only piece that will be difficult would be those “clown pants”, or whatever you call them. I think if I follow a Madoka pattern I can get these pants to be decent but I do have to wonder how insane my lower section will look. Sort of like wearing a giant baby diaper. Haha! So that is the final lineup and my plans for 2017. 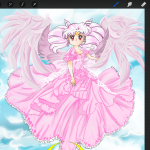 In the next few weeks I will start to work on Sailor Chibimoon and post regular updates to the site and to the Yami Sorceress Facebook and Twitter Pages.